FUSING reggae, blues, jazz, dancehall, R&B and even Funk, 4th World’s 2012 awardwinning album, Can’t Stop Us, was described as “reggae music with a difference. It is fresh. It is a new sound. The arrangements are startlingly different to what have come before and so catches one by surprise.” So much so that fans and critics alike marvelled at the freshness, authenticity, originality, and multifariousness of Can’t Stop Us. Since the release of Can’t Stop Us, 4th World’s single releases have proven to be even more startling and have pushed the edge of the musical envelope even further. For example, the single, Fixation, reminiscent of the Motown sound of the 60s and 70s, presented an infectious fusion of reggae, funk, R&B and African rhythms. A second release, Tchenbé-La, though a quintessential roots reggae track, is creole reggae, reggae in St. Lucia’s mother tongue, a departure from the tendency to copy Jamaican reggae and dancehall artists down to their very accent. 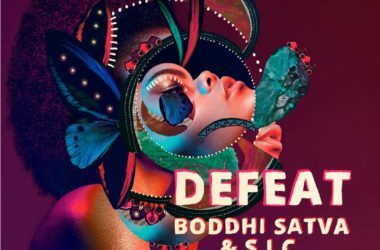 As such, Tchenbé-La so delighted a fan that she likened the song as the bringing together of St. Lucia’s literature Nobel Laureate, Derek Walcott, St. Lucia’s Queen of Culture, SesenneDescarte , and Bob Marley, the King of Reggae. Lisi, which is not only sung in Kwéyòl, but seamlessly fuses St. Lucian folk, jazz, Latin, reggae, the music of St. Lucia’s national anthem, and African rhythms to create a sweet, upbeat, infectious song that both celebrates and salutes St. Lucia’s beautyand uniqueness. Now with Rain, 4th World pushed the musical envelope so far that they completely left the realm of reggae and dived headlong into the world of rock in a manner that would make the likes of Rolling Stones, Guns ‘n Roses, Metallica, Bruce Springsteen, and Led Zeppelin proud. Rain is a song that soars with infectious singing, intense guitar riffs, and captivating bass and drum patterns. Rock lovers will welcome Rain as a fresh and exciting addition to the genre; music lovers in general will be mesmerized by Coldsweat’s voice of opposites—sweet but harsh, melodious but gruff, smooth but edgy. With Rain,Nijah “Coldsweat” St. Catherine demonstrates mastery of a genre of music different from his own so completely that one would be at odds to discern that this wasn’t his genre of first choice. This seemingly boundless talent is probably what has convinced many that the artist has one of the best voices in world reggae and may represent St. Lucia’s best hope of launching a superstar, in the manner of Rhianna, onto the world stage. 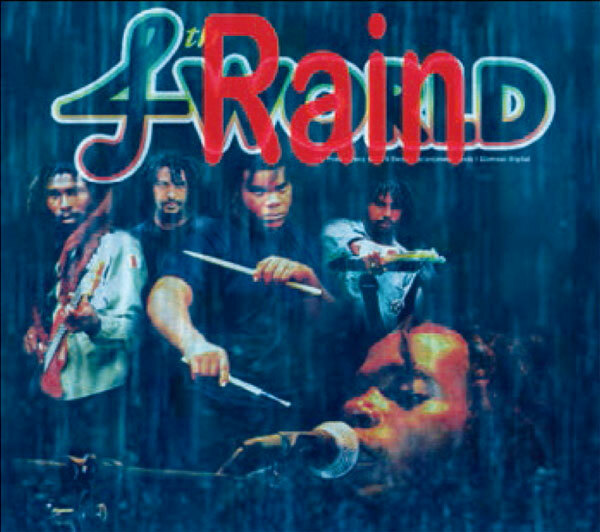 Rain, as with all of 4th World’s music, was recorded at the band’s very own studio, Bad Kali Studios, and sound engineered by Marlon “Bad Kali” Florent, who doubles as the band’s lead guitarist and sound engineer. Indeed, Marlon Florent is as much responsible for 4th World’s tantalizing and imaginative music as the singers/composers themselves, for it is him who puts the magical touch to the music. Clearly, refusing to be led by the world of Jamaican reggae, 4th World, primarily a reggae band, is trodding its own path. 4th World’s music isn’t a recycle of old school music; it isn’t simply the laying of new lyrics on preexisting music. 4th World’s originality is both in terms of music and lyrics, and represents a real and significant addition to world music.